Impressed by the number of stocks in the Crystal Equity Research alternative energy indices that have delivered exceptional price appreciation, the last few posts have been on a quest to find fundamental characteristics that could give an advance signal of a future star. The post “Alternative Returns” on May 8th introduced the series identified future growth as a precursor of strong stock performance. The next post “Quest for Growth” on May 11th looked at stocks with above average growth predictions. Then the post “Alternative Bargains” looked at stocks in the alternative energy indices that are trading at below average price-earnings multiples. There is a better way to find valued priced stocks of companies with expectations for strong future growth. The Price-Earnings-to-Growth Rate ratio compares a company’s price-earnings ratio (PE ratio) to its projected growth rate. Conventional thinking is that if the PE ratio is lower than the growth rate, the stock is a bargain. The rationale is that stocks with high expected growth rates should trade with higher PE ratios than stocks with low expectations for growth. Unfortunately, the PEG ratio as it is called has some short comings. It ignores an important source of value – dividends. To include dividend yield the measure become PEGY – Price-Earnings to Growth plus Yield. The measure provides a view on what the market is willing to pay for both future growth and forward dividend yield. The ratio differentiates for growth and dividends, but it silent on relative risk. By adjusting the PEGY by the stock’s beta measure, investors get an even more nuanced view on stock value. The new measure becomes PE times Beta to Growth Rate plus Dividend Yield or PERGY. The PEG ratio has not been shown to be particularly helpful in the short-term, but studies have found that the PEGY ratio and her sister PERGY can well inform a long-term buy-and-hold strategy. A review of the Crystal Equity Research alternative energy indices found a number of PERGY candidates. Eastman Chemical Company (EMN: NYSE)was mentioned in the April 3rd post “A Stake in Bioplastics.” The company makes no products using organic feedstocks. Accordingly, investors with a preference for environment-friendly stocks would need to take a big gulp before taking a stake in EMN even with a PERGY measure of 1.18. Eastman grabbed $9.6 billion in sales from the specialty chemicals market in 2017, earning $1.4 billion in net income or $9.47 in earnings per share. The company turned a whopping 17.3% of sales into operating cash flow. The stock is currently priced at a forward dividend yield of 2.12%, which is part of what is driving its PERGY ratio. That may be enough to tempt even the ‘greenest’ investor. 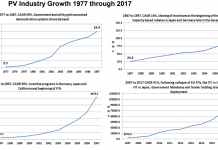 By all accounts the U.S. electric grid is outmoded. Its various power plants, wires, transformers and poles represent trillions of dollars in sunk capital. 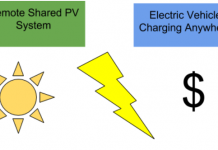 The goal of the smart grid is to build a high-speed communication network on top of the established power grid. Advanced communications could make it possible to keep the power supply stable and efficiency by sensing, analyzing and controlling the otherwise unreliable network. 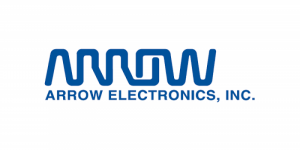 Arrow Electronics (ARW: NYSE) serves users of electronics components with product supply and design services. It is a supply channel partner for more than 125,000 original equipment manufacturers and commercial customers around the world. The company recently acquired eInfochips, a design and managed services provider specializing in Internet-of-Things technology. The deal is expected to help Arrow offer smart grid solutions for municipalities and building managers through real-time data analytics from connected devices and systems. In the twelve months ending March 2018, Arrow earned an operating profit margin of 3.9% on $28 billion in total sales. The company turned just 0.2% of sales into operating cash flow during that period, but in the previous two years the company averaged a much higher 2.1% sales-to-cash conversion rate. The recent slip in cash generation may be one of the reasons ARW shares have sold off since the beginning of 2018. The company does not have a dividend that garners the loyalty of long-term holders with income generation as a goal. However, a PERGY ratio of 0.15 suggests the stock is on sale relative to its expected earnings growth. The market is perhaps not giving the company enough credit for its improved competitive position in the fast growing market for IoT solutions. SunPower Corporation (SPWR: Nasdaq) has a PERGY ratio of 0.18, which puts it among the lower ratios in all four of novel indices featuring companies producing alternative energy or offering energy conservation or efficiency solutions. The measure could inform investors with a contrarian view. SunPower has come through difficult times. The company reported a deep loss of 38.6% in the most recently reported twelve months ending April 2018. The loss narrowed in the most recently reported quarter, but that accomplishment has been overshadowed by guidance for negative impacted from U.S. tariffs on solar imports. 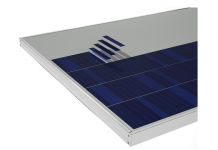 The company makes most of its solar products in the Philippines and Mexico. Earnings are expected to be reduced by as much as $55 million over the next year. To counter the effect of the tariffs the company is acquiring U.S. panel producer SolarWorld Americas. 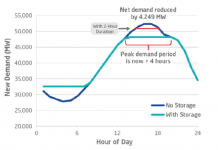 The company is also shifting its focus to products used in distributed generation systems at homes and businesses where growth rates exceed the power plant market. Both strategies will take time to deliver improvements to the company’s topline growth rates and profit margins. However, for the patient investor the stock might have appeal. That said, we note the stock appears overbought from on technical basis. It might be worthwhile to wait for a period of even greater price weakness to build a long position.